Canoeists have good reason to hold The Boat House @ Barrow in high regard. Firstly, The Boat House is located at a recognised beauty spot on the banks of the River Soar, and is the obvious departure point for the classic “Soar Loop” – a short but attractive paddle incorporating the winding “backs” from the navigable waterway. 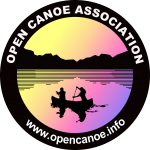 Secondly, The Boat House is owned and run by Colin Broadway (founder of Mobile Adventure, stalwart of East Midlands Paddlers, past president of the Open Canoe Association and veteran Coach Educator) and is a well established base for training courses and canoeing events. The pub offers good food, fine ale and boat hire and will be the base for the Uk’s 1st Quitewater Canoeing Conclave.